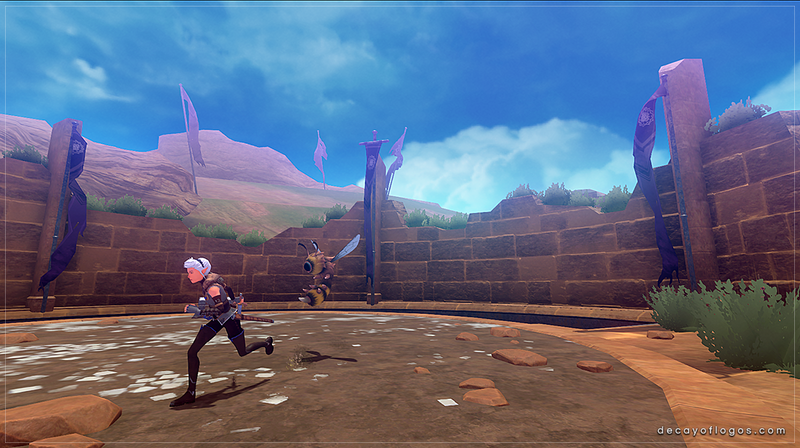 Another week goes by, bringing further beautification and polish, together with more QA and fixing! The original room is on the left, unspoiled by the decals that are introduced on the right, covering the floor and the edges of the walls. A whole different message is transmitted to those who observe their surroundings, allowing for that extra layer of storytelling that we love! That’s all for this week, we have something different in store for you all next friday so stay tuned! 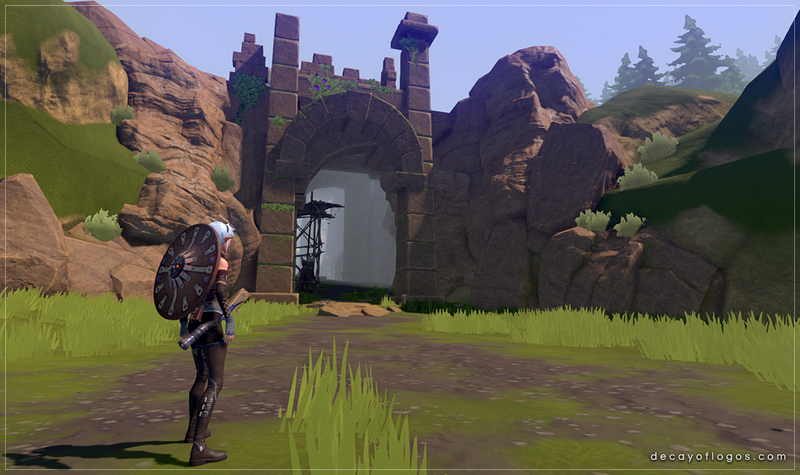 This entry was posted in Dev Blog, Level Design and tagged Showcase on December 7, 2018 by admin. Another week of QA goodness and bug slaying, a real massacre of all of those pesky issues that we would absolutely hate to let you all deal with. In all due honesty, these things do take a great deal of time and effort, and we’re happy that we have the time and resources to undergo a thorough testing and polishing phase! It’s also one of our largest dungeons! That’s it for this week’s blog post, thank you for reading! This entry was posted in Dev Blog, Programming, WIP and tagged Showcase, Technical, WIP on November 16, 2018 by admin. DevBlog 131 / Reach for the sky! With the ongoing external QA, which is going pretty well since you’re asking, we’ve been tackling the the issues all around the clock. Politely asking the Brute to stand aside to take this sky picture! Communing with nature while taking another sky picture! We hope that you’ve enjoyed the content we had to share today, rest assured that we’ll have more goodies to share further down the road, so stay tuned. 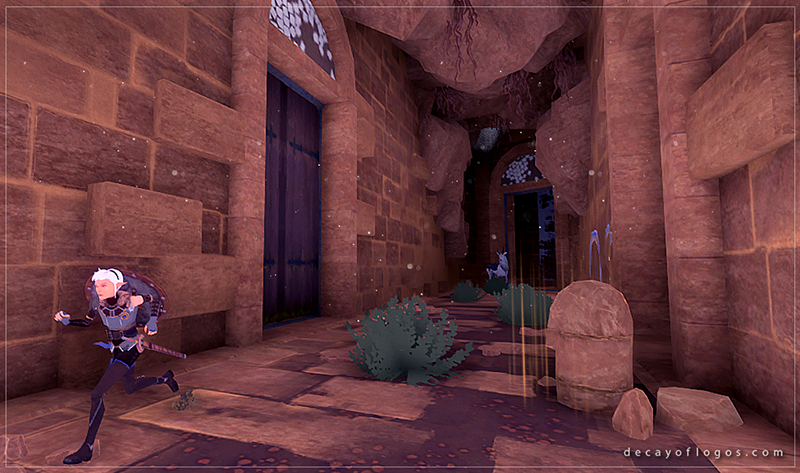 This entry was posted in Dev Blog, WIP and tagged Showcase, WIP on November 9, 2018 by admin. Another quick update for this week’s tasks! In short, we’re continuing to pool our efforts into the tasks that we’ve talked about in the last posts, meaning the ports and the embellishment of all areas. The Wadi of the Howling Rift. 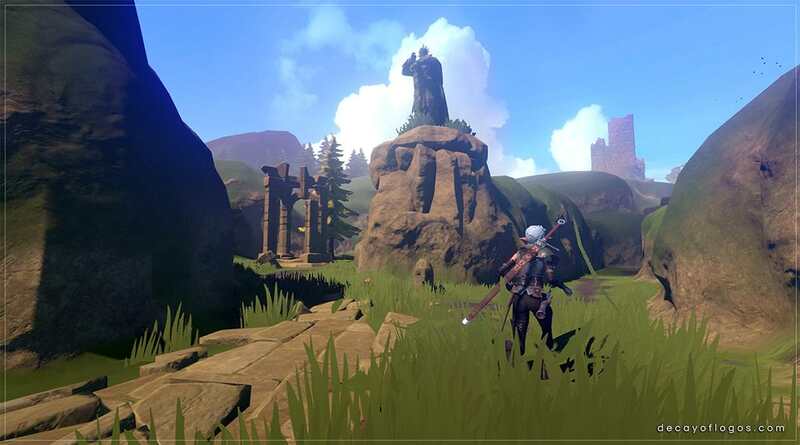 The vegetation, props and even architecture is being tweaked throughout these areas, and its pretty fun to see how some of the team members that have been doing runs in order to help with the balancing and QA react to the changes that are being implemented, or fall prey to unexpected enemies or traps! Development build of the Switch port. That’s all for this week, stay tuned for the next update and have a great weekend! 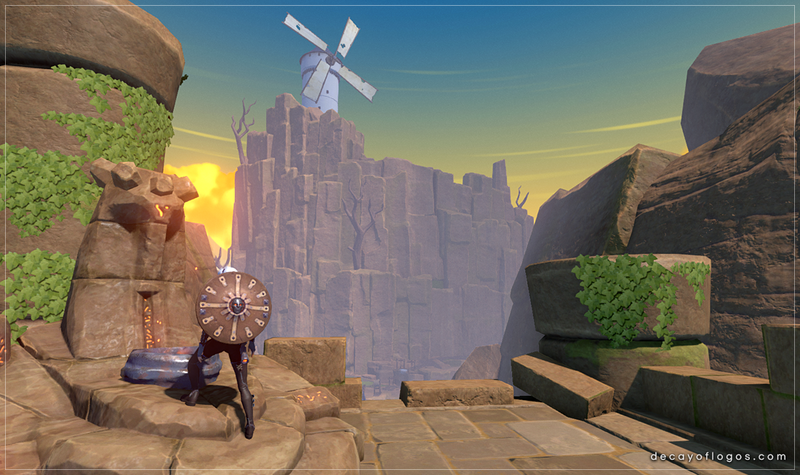 This entry was posted in Dev Blog, Level Design, WIP and tagged Showcase, WIP on October 26, 2018 by admin. DevBlog 128 / Everything old is new again! The team is currently really busy finishing up some major tasks, so the post this week is gonna be just a quick update! We are all adding those finishing touches to every aspect of the game that will surely bring the whole thing together and really make it shine. Working on porting the game to consoles is also very time-consuming, and that’s where we’re at. 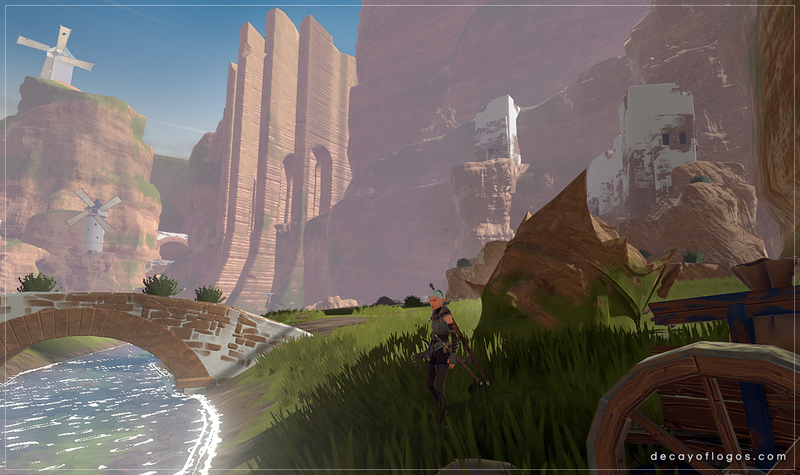 Here’s a little teaser of one of the early locations, now reworked, that you’ll get to explore! An imposing statue guards these lands. 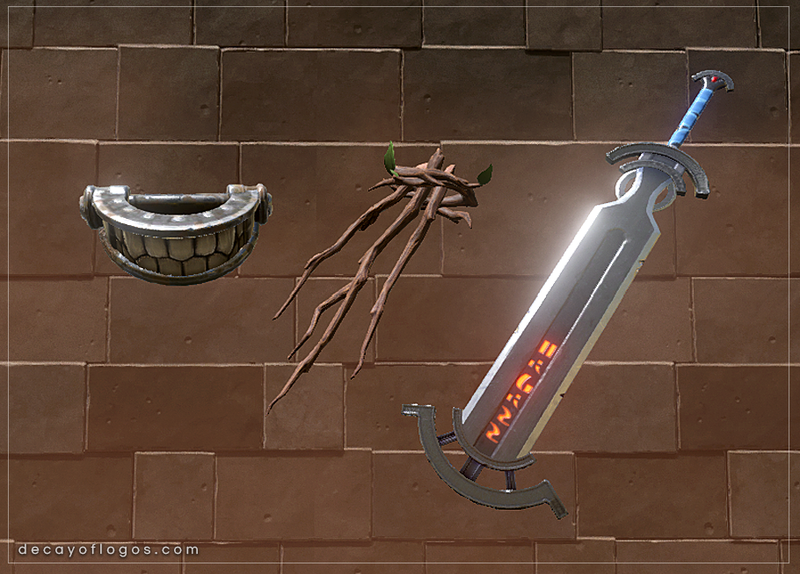 This entry was posted in Dev Blog, Gameplay, Level Design and tagged Gameplay, Ilumination, Props, Showcase on October 19, 2018 by admin. This week, our biggest focus on the technical side of things was working on the console ports, while also continuing to optimize the project and its code. 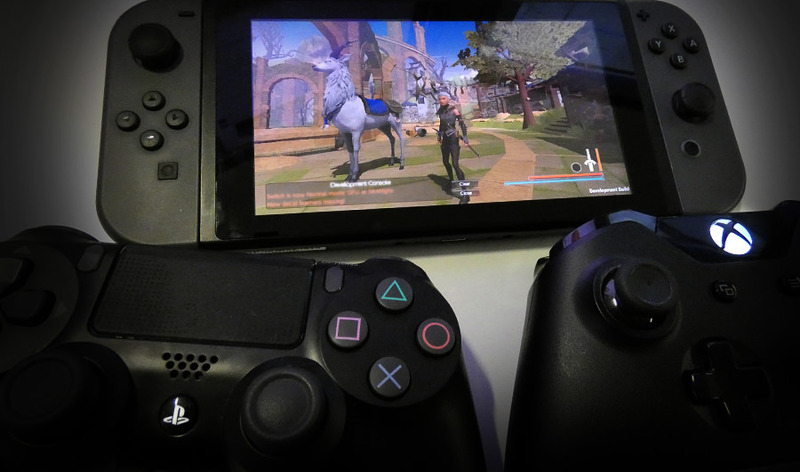 We want to make sure that all platforms provide the best experience possible, since we’re big fans of them all! 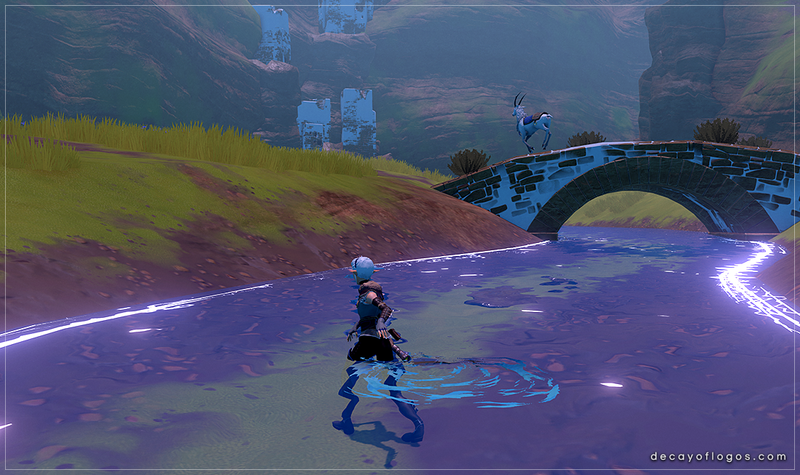 On the artistic side, we’ve done a good amount of polishing over the landscape, especially in the Howling Rift, hence the title, and continued to polish work on the audio, visual effects and animations. I swear she was here just a minute ago! That’ll be all for this week, thank you for checking out this devblog post and please stay tuned for more next Friday! This entry was posted in Dev Blog, WIP and tagged Showcase, Technical, WIP on October 12, 2018 by admin. 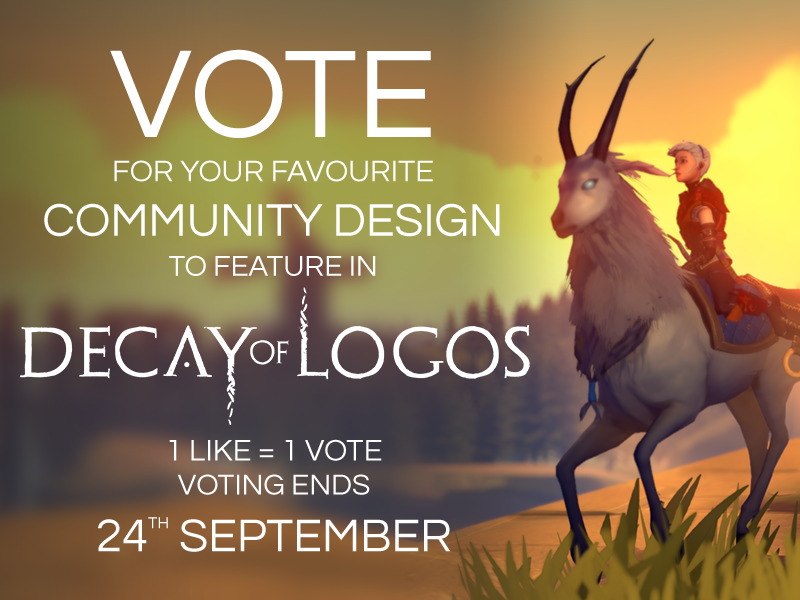 DevBlog 124 / Cast your votes! Hope you all had a good week! First and foremost, we’d like to remind you that voting for the Shield Contest is still going, so make sure to cast your vote on your favourite entries HERE! We’ve had a total of 26 entries, which got us all very excited, and each design is pretty unique, with very different and unique sources of inspiration. Some of them even have their own lore! Also, in preparation for the EGX Berlin, we’ve done a very thorough QA, polish and balance pass, which will continue next week. You’re all invited to play Decay of Logos at the event, you can find us at the Thunderful booth, so be sure to pay us a visit ( or several! ) if you’re able to attend, which will be happening from 28/09 to 30/09! Hope you’ve enjoyed the update, see you next Friday! 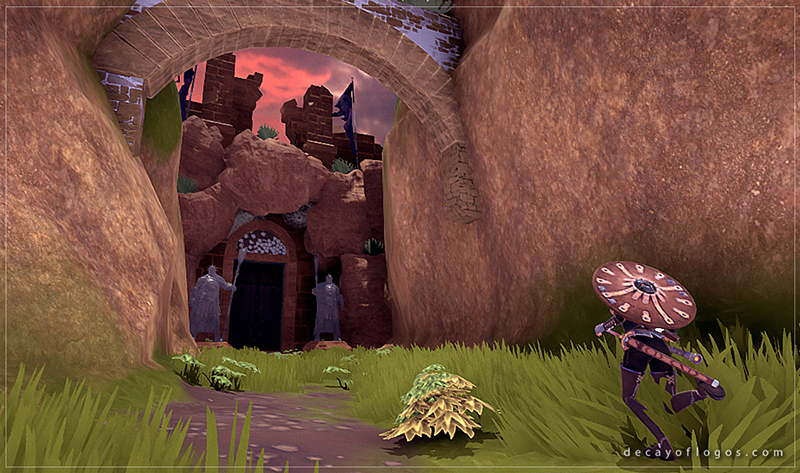 This entry was posted in Dev Blog, Level Design, WIP and tagged 3D, Concept, Showcase, WIP on September 21, 2018 by admin. DevBlog 122 / Not the bees! Today the post is a simple update about some of the progress we’ve made regarding a few enemies, armor sets and overall detailing. A lot of polishing is being done on the animation side, our animator is doing a bunch of small tweaks and additions so the game feels and looks a lot more fluid. We have a new temporary addition to the team – the wiz Paulo Pinho is helping us on the VFX side, and the results speak for themselves, but we’ll have to share that in the next post! Our sound designer has also joined us in the office for some, so the sound/music additions will be faster and better implemented. On a different note, a new enemy is born – this giant Stinger will haunt you wherever you go! Remember, it can fly… It features a binaural sound when it gets close, for an extra level of creepiness. Sometimes they attack in swarms! 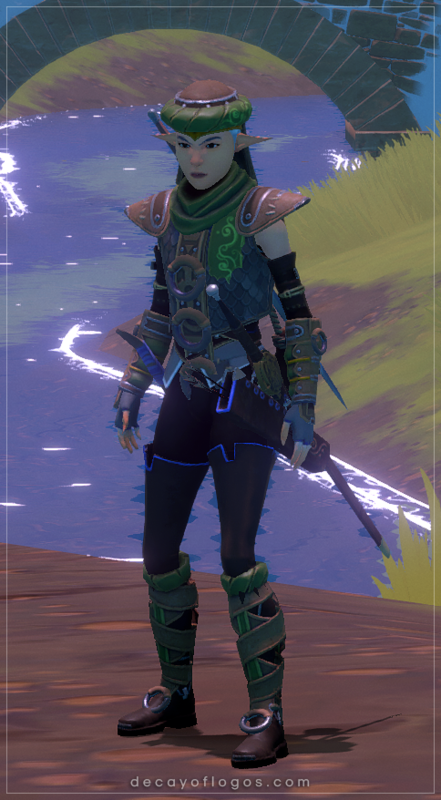 One of the aspects we wanted to improve on for a long time was the armor set variety. In order to give more options of apparel to the player we are introducing 3 new sets, each tied to a certain location of the game and respective lore. One of these is already in-game, as you can see below. 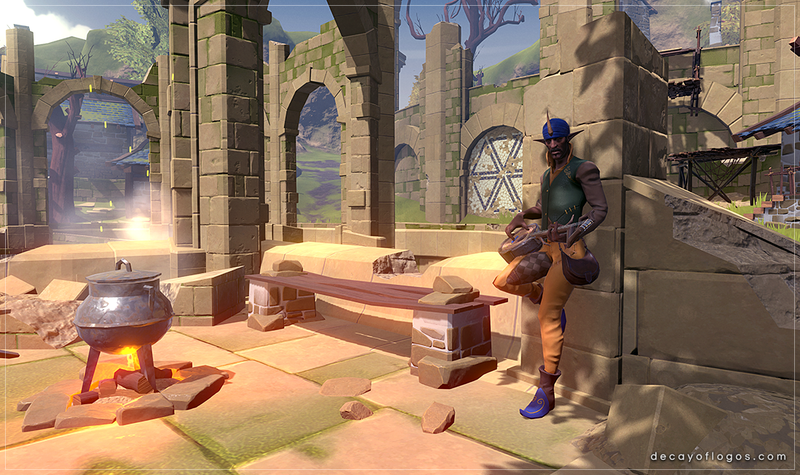 Of course, equipping all the pieces of any set will grant the player bonuses, so keep an eye out and find them all! This entry was posted in Animation, Dev Blog, Gameplay and tagged 3D, Animation, Showcase on September 7, 2018 by Andre Constantino. DevBlog 120 / They are Legion! 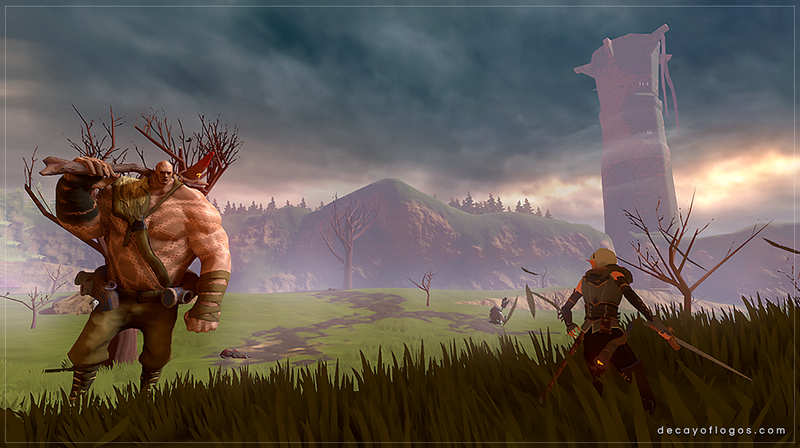 We have made quite some progress this week, both in terms of polish and the addition of new content! Finally, there was a major effort in cleaning up the code, while also adding a debug menu with controller support for the consoles, in order to help with development and QA for them. 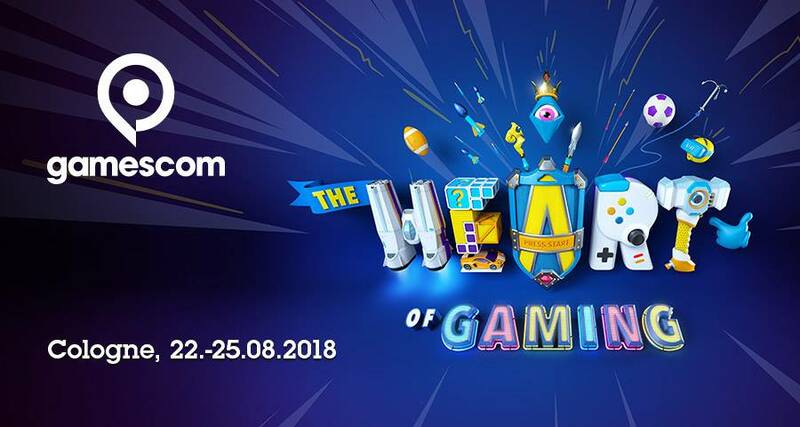 Regarding the gamescom event, our team member that was present to showcase the game had a blast but, unfortunately, he still hasn’t arrived due to a flight delay, so we’ll have to share all the juicy details of the event next week! Thank you for reading, have a nice weekend! This entry was posted in Animation, Dev Blog, WIP and tagged 3D, Animation, Showcase, Technical, WIP on August 24, 2018 by admin. 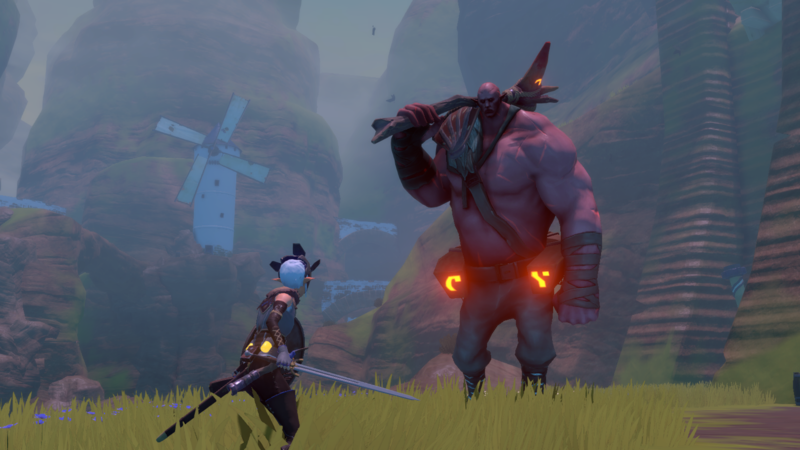 DevBlog 119 / Meet us at gamescom! We’re happy to announce that we’re bringing Decay of Logos to gamescom 2018, together with our publisher Rising Star Games! The event will be hosted in Cologne, Germany, more specifically at the Koelnmesse exhibition center, from the 22nd to the 25th of August. 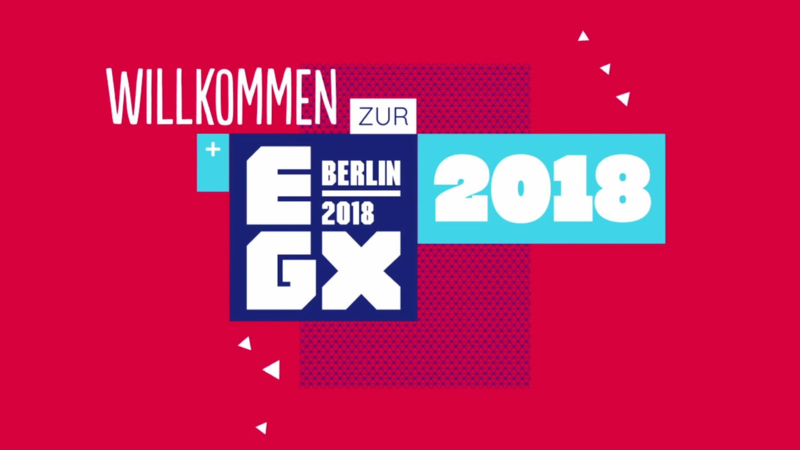 We would love to meet you and have you check out our game, we’ve added a whole lot of polish and content to the Decay of Logos show build that was showcased in Unite Berlin so, even if you already had a chance to play the game before, we’re confident that you’ll be surprised with how much things have changed! You can find us at the Rising Star Games room 10-11, Koch/Deep Silver, Halle 4.2, Stand D021-B020, Messeplatz 1. Regarding this week’s progress, the focus was mostly on the console ports, together with some further polishing and QA for the aforementioned build. A lot of progress was made in the Nintendo Switch and PS4 versions, and the XBOX One version will definitely be focused later on. 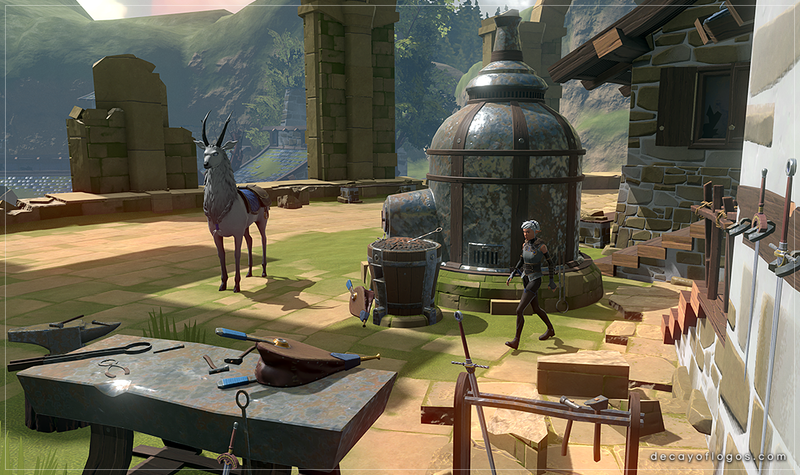 We’re also sharing some screenshots from the latest build, enjoy! Thank you for reading, we hope that you can visit our booth and have the opportunity to check out our game, have a great weekend! This entry was posted in Dev Blog and tagged gamescom, Showcase on August 17, 2018 by admin.